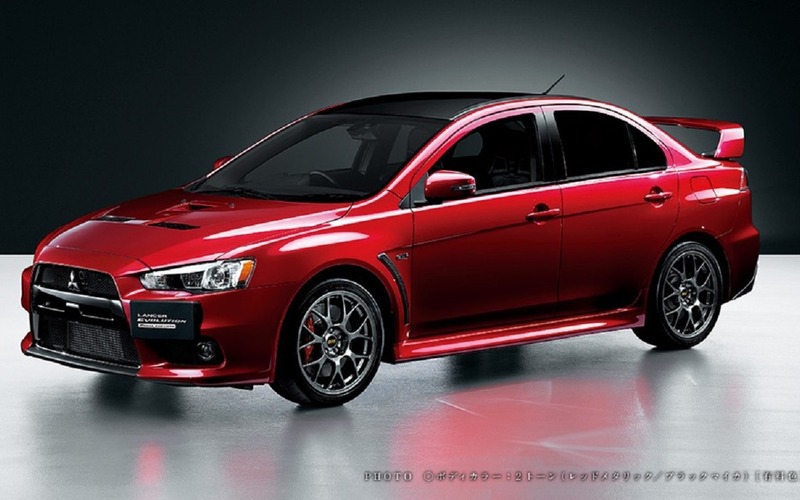 We have been talking about this for quite a while now, but Mitsubishi’s only sports car is about to be axed: the final hurrah for the EVO, the 2015 Lancer Evolution X Final Edition is now on sale in the Japanese manufacturer's home market. Based on the GSR model, the Final Edition distinguishes itself with a 5-speed transmission, 18-inch BBS wheels, a suspension reworked by Bilstein and Eibach, Brembo brakes, Recaro leather seats and a few upgrades inside the 2-litre turbocharged MIVEC engine. Power is said to be in excess of 300 horsepower. While exact power numbers have yet to be announced, we expect that the 473 horses that were found under the hood of the prototype unveiled at the Tokyo Auto Show probably are not all here. Only 1,000 units will be built, and they are all heading to Japan. Each one will cost around $35,800 US, and the car will be delivered in August.